As many of you know, one of my favorite things to do is to go out to dinner with friends. I find that the pace of the world slows down when I can savor a delicious, healthy meal at the end of the day, in the company of good people. I heard a story about a grandmother’s recipe for cannelloni. No matter how precisely the granddaughter followed the recipe, it tasted different from her grandmother’s version. And when she passed the recipe on to a friend, it tasted different from her version and her grandmother’s version. It is interesting how each of us puts our own intentions, soul and love in to everything we create, and it becomes uniquely ours, like a snowflake or a fingerprint. There are certain places I go to eat where the soulful intent of the chef and the proprietor comes out in the food and the space. And those become my favorite places. A few years ago, JoJo’s in Oakland was my favorite but, sadly, it closed. I recently found a new local favorite — BocaNova in Jack London Square! Lori and I stumbled across it quite by accident, went in and we had a lovely dinner. We spent a half hour engrossed in conversation with the owner, Meredith, who had been in the music business in years past. So we talked about restaurants, life, and how good, healthy, locally grown food can address almost all of the world’s ailments. I have found a similar phenomenon in music. Somehow the intention and emotions that we bring through to a performance can completely change a song from one night to the next. And when the intent of the artist is truthful and giving, music, like good food, can heal. I started off March with the honor of joining songwriters Laura Zucker and Claudia Russell and her band at Armando's in Martinez last Wednesday night. What a sweet spot! On March 10th, I will be joining my buddy Larry Potts in a Petaluma songwriter series, then back to the Davenport Roadhouse on Tuesday, March 16th. Chris Kokesh, who played and sang on my CD and is a multi-talented singer-songwriter from Portland will be coming down to California to play with me at First Street Cafe in Benicia on Friday, March 19th. Then Chris and I will road-trip it down to Southern California the next morning to open up for the now world-famous Claudia Russell and her band at the legendary Coffee Gallery in Altadena. I will stick around LA to play in a songwriter sanctum the next day. Chris will be back up in the Bay Area on Sunday, March 21st to play at Yoshi’s Songwriter Sunday series at 8pm, at Yoshi’s Lounge in San Francisco. Although I will not be playing with her on Sunday, I would highly encourage friends in the Bay Area to see Chris at Yoshi’s. This is a rare Bay Area performance for this rising star, who just released her first solo CD after nearly 10 years touring with the iconic Misty River band. 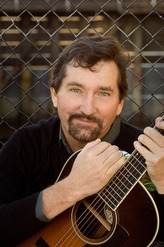 This Songwriter series is hosted by my friend, Larry Potts. Larry, Javier Montiel and I will be trading songs, Nashville style. I love these songwriter series — I am continually struck by the depth and the heart in the songs that I hear from local songwriters. Aqus is a beloved local watering hole and community gathering space that serves assorted beverages along with an extensive casual dining menu. This is our fourth gig at this beautiful restaurant/inn, located 100 yards from the ocean, on Highway 1. Our February gig was jam packed with people. Nestled in an artist colony, 11 miles north of Santa Cruz, the Roadhouse provides great food, beverages and accommodations. Again, I will be accompanied by some or all of the usual suspects, and Mike Simpson, a fine South Bay singer songwriter, will join us to play a set of his songs as well. This is a great spot to come for dinner, appetizers or dessert and enjoy a beverage of your choice. Back again, at one of my very favorite spots! This time, I will be sharing the stage with Chris Kokesh. Chris and I will be trading songs and sets, backing each other up. You have to hear Chris — for her own songs, as well as her stellar accompaniment. We’ll be there early, have a nice dinner downstairs, then head upstairs for some musical merry-making. This place is special — everyone always seems to have a great time, the crowds are lively, the food, beverages and service are superb and the building and setting are charming. The Coffee Gallery is to acoustic music what Wrigley Field is to baseball. Bob Stane has been putting on great shows, night after night, in this legendary venue for years. Chris Kokesh and I are honored to open here for Claudia Russell and her folk orchestra. If you live anywhere near Altadena, come and experience this amazing venue. Claudia and her multi-instrumentalist husband, Bruce, recently appeared on the national NPR radio show, “All Things Considered” and it promises to be a great show! This is the first time I will be playing at this Santa Monica songwriter series. Claudia Russell will be featured as well. Chris Kokesh will be playing at Yoshi’s on Fillmore in San Francisco at their renowned Songwriter Sundays Series. She will be sharing the stage with two other local songwriters. This is always a great evening, and you will enjoy hearing Chris! I plan to fly back from my Santa Monica afternoon gig to catch most of this show. Two gigs at First Street on consecutive weekends! Oh well, I love this place that much. I will be joined by some or all of the usual suspects (Bob Hahn, master harmonica player and co-writer, Paul Fifield on his trusty bass and Julie Baker, with her magical voice box — actually I haven’t confirmed with all of them yet, so if any of them can’t make it, don’t hold it against me!) My buddy Larry Diehl from Roseville, CA will be joining us and playing a set during the evening. We hope to see you there!